Midwest Machinery is a first class machinery dealer with extensive experience in the field of buying and selling steel processing equipment in US and worldwide. If customer needs to buy or sell single component, complete line, or entire plant, we’ll use our experience, and knowledge to make sure customer’s goals are achieved. 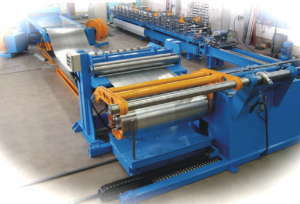 Contact us if you ate interested in leasing slitting lines, cut to length lines, tube mills, roll formers, or any other steel processing equipment. We’ll work with the bank to help you to qualify for lease, with favorable leasing terms for your company. We extend our experience and expertise in field of used steel processing machinery to customers worldwide to provide consulting services. If you need us to make inspection of single machine or complete steel processing plant, we are ready to travel anywhere in the world in the moment’s notice. We’ll make detailed inspection on customer’s behalf. After which, we’ll provide a detailed report, accompanied by photos, and videos. Estimating the true market value of your machinery and equipment at any given time requires the specialized skills of a professional who has the expertise to determine its true fair market value. Midwest Machinery can be your partner in this field. Whether you need to know the fair market value or other standards of value such as liquidation value, salvage value or replacement cost, we can help to make a right decision. Feel free to contact us if you need help with reconditioning or rebuilding of your steel processing, and coil handling equipment. Full service machinery rebuilding & retrofitting are available. Capabilities include field services, machining, mechanical & electrical engineering, machine calibration & inspection. New & used machine sales & contract maintenance. Our teams consist of experienced and trained mechanics, metal workers, electricians and machine displacement specialists. In the fields steel processing equipment, we have especially skilled staff working worldwide on servicing our customers. We work in close cooperation with transport companies specializing in machinery and heavy duty transports making sure that your goods arrive safely at their final destination.